Consuming re-boiled, clean, uncontaminated drinking water will not cause cancer or poison you or your family. As long as your water comes from a source that is regularly inspected, you can boil it as many times as you want. The idea behind this myth is that boiling water concentrates any solid substances that are in the water. 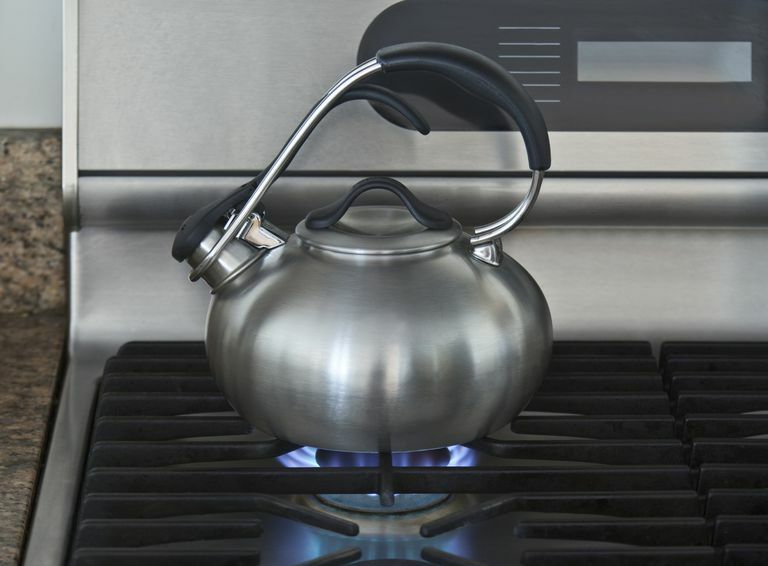 Maybe you've seen white chalky stuff stuck to the sides of your pot or teakettle after you've boiled water (it's just calcium, which is harmless). As long as there's nothing bad in your water to concentrate, there's no health concern. So what if there is something nasty lurking in your water? If your water contains arsenic, lead or nitrates, then boiling, it will increase the concentration of those substances. At what point does it become dangerous? That's hard to tell, but that's why water needs to be regularly inspected. The levels of both nitrates and arsenic are regulated, and water supplies must be monitored in towns and cities, so if your tap water comes from a city water source, it's safe. These toxic substances can get into your water a variety of ways. Groundwater may contain nitrates, which are chemicals often found in fertilizer, and arsenic that may occur naturally or from a farm or industrial waste. If you live in a rural area and have a well, the water must be tested. Lead doesn't come from the water source itself. The contamination happens at home. Lead can contaminate a water supply through old plumbing that's held together with lead solder or stored in tanks lined with lead. Exposure to lead can cause emotional and behavioral problems. Lead can't be used for plumbing anymore, but it might be present in buildings and houses built before 1986. Centers for Disease Control and Prevention. "Arsenic and Drinking Water." Accessed January 23, 2016. http://www.cdc.gov/ncidod/dpd/healthywater/factsheets/arsenic.htm." Centers for Disease Control and Prevention. "Nitrate and Drinking Water From Private Wells." Accessed January 23, 2016. http://www.cdc.gov/ncidod/dpd/healthywater/factsheets/nitrate.htm. Centers for Disease Control and Prevention, Agency for Toxic Substances and Disease Registry. "Consumer Factsheet on: Nitrates/Nitrites." Accessed January 23, 2016. http://www.atsdr.cdc.gov/substances/toxsubstance.asp?toxid=258. The City of New York, NYC Environmental Protection. "Lead in Household Plumbing - Frequently Asked Questions." Accessed January 23, 2016. http://www.nyc.gov/html/dep/html/drinking_water/lead_faq.shtml. World Health Organization. "Arsenic in Drinking Water. "Accessed May 12, 2009. http://www.who.int/water_sanitation_health/dwq/arsenic/en/." Yang CY, Cheng MF, Tsai SS, Hsieh YL. "Calcium, magnesium, and nitrate in drinking water and gastric cancer mortality." Jpn J Cancer Res. 1998 Feb;89(2):124-30. Accessed January 23, 2016. http://www.ncbi.nlm.nih.gov/pubmed/9548438. Are Common Food Additives in Dry Goods Like Cereal Safe to Eat?